Broadcast PR Campaigns Amidst Brexit - Shout! Brexit. Yep, the buzz word of the day. 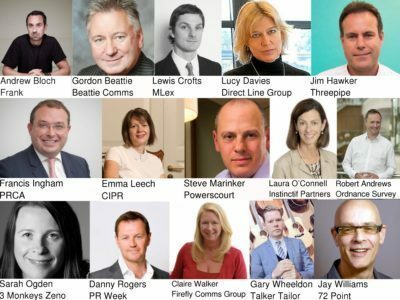 With Britain’s eventual exit from the European Union still on a heavy pencil for the 29th March 2019, many in the PR industry are assuming the month will very much be a broadcast write off. Well, they’re wrong and here are the reasons why you shouldn’t put all your stories on hold in March. Firstly, no matter how busy the news agenda is there’s always an appetite for an alternative story. Regular news readers and watchers recognise Brexit has dominated the news for months. My own guess is that it makes up about 75% of all coverage. So, come March 29th or the weeks prior or after the leave date, we can expect a similar level of interest. But news bulletins can’t be 100 percent Brexit focused; there is and will be an appetite for other stories too: same as there was in January and looks like there will be in February. News, even serious news, is about entertainment. Broadcasters need to engage their audiences and in my view the majority of us are quite bored with Brexit. The last thing TV and radio journalists want is for their listeners and viewers to switch over to another channel. That means they need to run stories other than Brexit. Apart from the days immediately before and after the 29th there will be the same challenges – and opportunities – as we have now! We recommend bucking the trend. Many people will be going along with the popular theory that it’s better to avoid big chunks of time either side of Brexit. So why not be one of the few that seize the courage of their convictions and go for it? You may find it actually far less a competitive time than normal. Don’t be fooled into panicking, running your story earlier than you had planned. To make a story work successfully for broadcast you need to have all the elements in place, so there is no point rushing to try and launch a campaign before Brexit if you don’t have all the component parts. Make sure your research is through and reputable; your spokespeople willing and available; that the relevant case studies are at your fingertips. And take time to make sure your story is news worthy in the current climate. Of course the week leading up to and away from 29th March will be dominated by Brexit and the social and economic consequences, particularly for national radio and television. But we anticipate regional broadcasters will be less effected. Yes, they’ll be looking for a “local” Brexit story – a local business who imports or exports for example. But they’ll need other elements to keep their audiences engaged which is why we anticipate radio PR days running as normal. If you want more information about radio days or broadcast PR support, visit our website at www.shoutcommunications.co.uk where you can find out plenty more information about how we could support your broadcast PR campaign this year, not just around Brexit, but beyond as well.